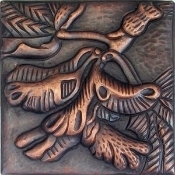 Copper Tiles For Your Home! 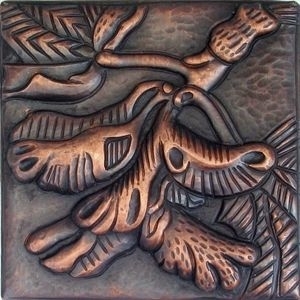 Custom Design Your Copper Tiles From (16) Patina Finishes. Choose One Patina Finish For The Tiles And Another Patina Finish For The Design. All Tiles Are Hand Made When Your Order Is Placed. Please Allow 3-4 Weeks For Delivery. *Please Note: Minimum Order Requirement For FREE Freight Is (10) Copper Tiles. You May Order (10) Different Copper Tiles Or (10) Of The Same Copper Tiles. Your Choice! If You Are Ordering Less Than (10) Copper Tiles, A Freight Fee Of $50.00 Will Be Applied. Orders Not Meeting Our Minimum Requirement For Free Freight, Please Call Customer Service At 800-989-5166 To Place Your Order By Phone. You May Order Less Than (10) Copper Tiles With FREE Freight, When You Include Additional Copper Products (Copper Sink, Copper Mural, Copper Bath Tub, Etc) In Your Shopping Cart That Have A Minimum Purchase Price Of $225.00. Add 1-9 Copper Tiles To Your Order With Free Freight. 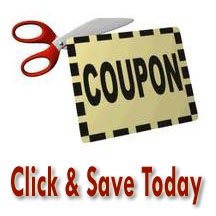 10 Qty Pricing Includes *Freight (47) States, No Sales Tax. Need Help With Your Order? Call Customer Service At 800-989-5166.